A full Dartmoor breakfast at the Two Bridges Hotel is the perfect start to your day. Enjoy our cold buffet selection, followed by a range of delicious hot breakfast dishes cooked to order. We use the finest local produce to prepare a delicious breakfast for you. Sausages prepared specially by our local butcher, proper traditional bacon and the freshest Dartmoor free-range eggs you're ever likely to find! The toast is made with our home-made bread, the ever-so tempting breakfast pastries are baked daily, and superb tea and coffee will complement your breakfast perfectly. 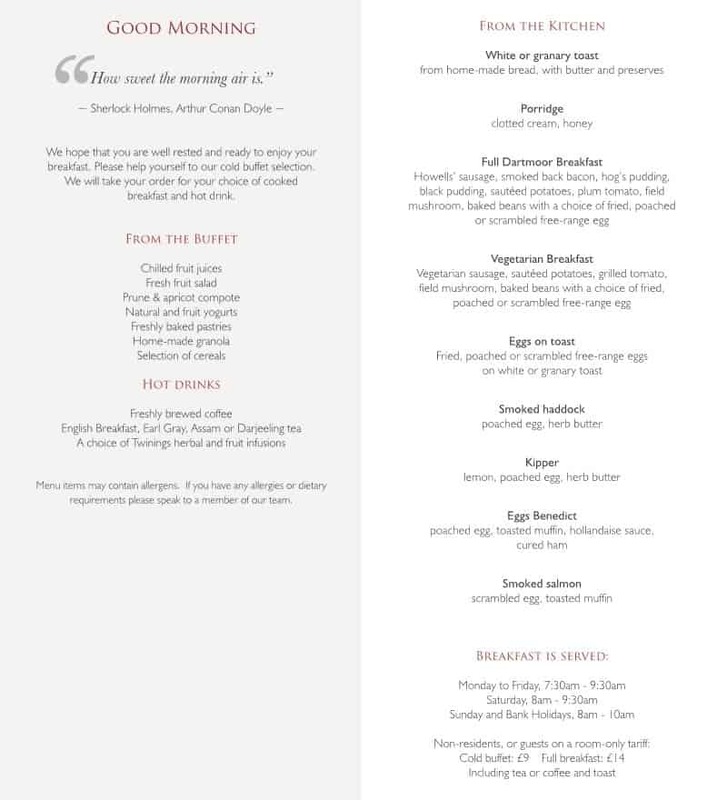 We're also open to non-residents for breakfast - it's best to book - call 01822-892300.